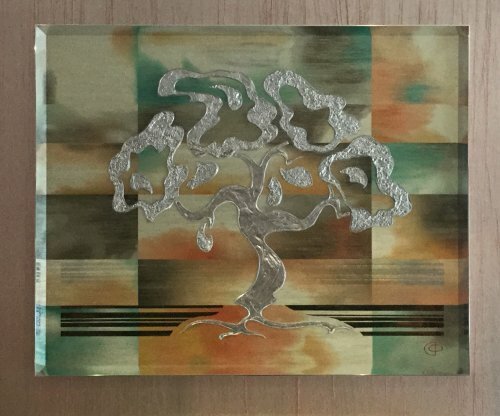 This original painting was executed on Arte wall covering with a wonderful metallic sheen and vibrant colours. Hence the artwork itself is restrained in colours and design. However, its three dimensional quality makes the artwork come alive and stand proud from the background. The contemporary metal frame in chrome finish makes the artwork look edgy and current, yet reflecting all the colours in the angled frame.